**EDITOR: This piece starts to bring the whole room together. As one can see, it was OSS China that initiated the global narcotics trade after World War II and sustained it for decades to come using their influence over CIA covert action and US foreign policy. The origin of opium can be traced back to the Middle East region of Mesopotamia circa 3100 B.C. Centuries later Alexander the Great exported the narcotic eastward to India in 330 B.C. By 400 A.D. it became a large market in China where it was introduced by Arab traders. Southeast Asia got its first dose of opium in 1500 when Portuguese, while trading along the East China Sea, initiated the smoking of opium. Within two centuries the Dutch were exporting shipments of Indian opium to China and the islands of Southeast Asia. In 1729, Chinese emperor Yung Cheng issued an edict which prohibited the smoking of opium and its domestic sale, except under license for use as medicine. Nevertheless, the use of opium increased, and by 1750 the British East India Company assumed control of Bengal and Bihar, the opium-growing districts of India. British shipping dominated the opium trade out of Calcutta to China. By 1767, opium exports by the British East India Company to China reached a staggering two thousand chests of opium per year. In 1793, the British East India Company established a monopoly on the opium trade. All poppy growers in India were forbidden to sell opium to competitor trading companies. In 1799, Chinese emperor Kia King banned opium completely, making trade and poppy cultivation illegal. Foreign merchants then turned to smuggling. Charles Cabot, a smuggler from Boston, Massachusetts, attempted to purchase opium from the British and then smuggle it into China under the auspices of British smugglers. Another American, John Cushing, acquired his wealth from smuggling Turkish opium to Canton. For example, John Jacob Astor of New York City and owner of the American Fur Company purchased ten tons of Turkish opium which he shipped on to Canton. In 1839, the first Opium War broke out, and the Chinese ordered all foreign traders to surrender their opium. The British responded by sending warships to China. Two years later, the Chinese were defeated by the British which demanded heavy reparations, including the cession of Hong Kong to Great Britain The Second Opium War erupted in 1856, and the British again demanded indemnities from China, forcing the emperor to legalize opium. 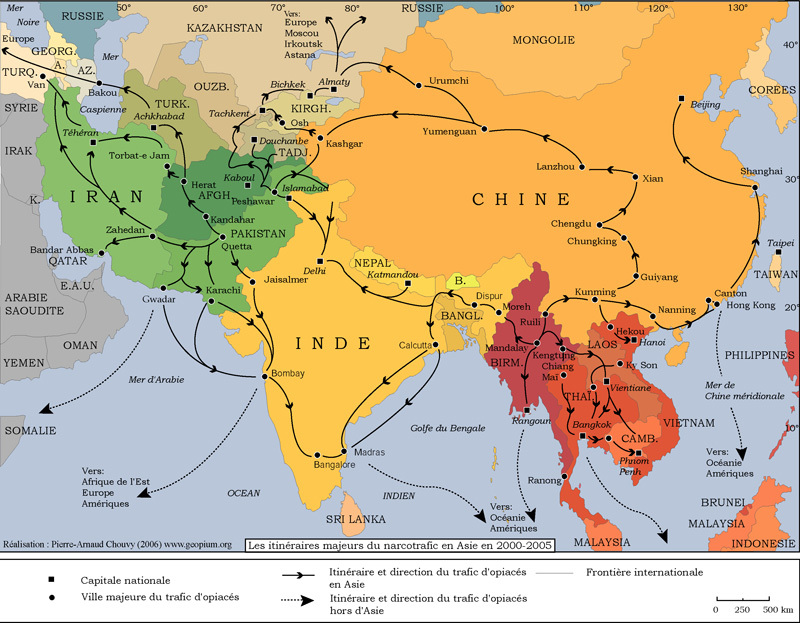 By the turn of the century and after 150 years of failed attempts to rid the country of opium, the Chinese finally convinced the British to dismantle the India-China opium trade. In the 1850s, British merchants began importing Indian opium to Burma and selling it through a government-controlled monopoly. In 1886, the British acquired Burma’s northeast region, Shan state. Production and smuggling of opium along the lower region of Burma thrived despite British efforts to maintain a strict monopoly on the opium trade. By the turn of the century, the French joined the British in monopolizing opium in Southeast Asia. In the 1940s, the ‘Golden Triangle’ — Burma, Laos, and Thailand — became a major player in the profitable opium trade. 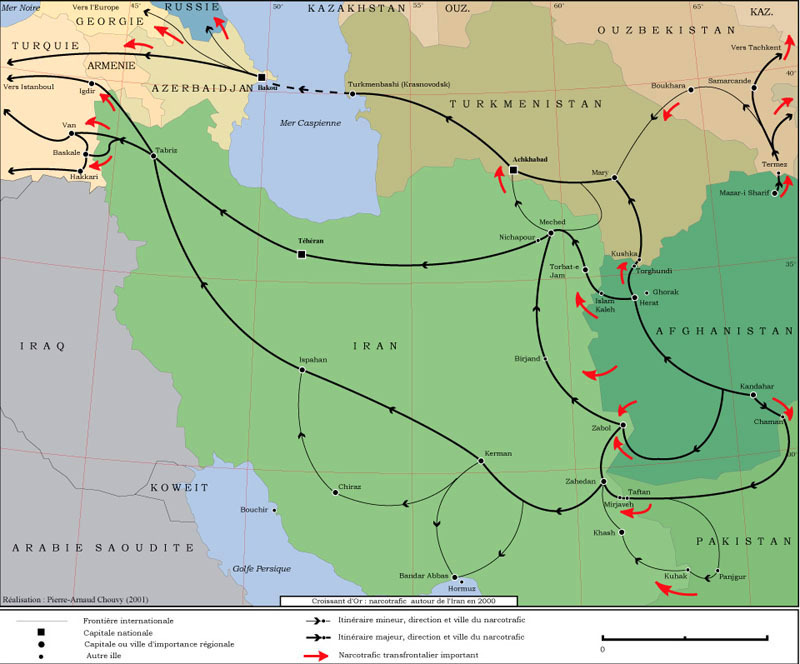 During the early years of World War II, opium trade routes were blocked and the flow of opium from India and Persia was cut off. Fearful of losing their opium monopoly, the French encouraged Hmong farmers to expand their opium production. After Burma gained its independence from Britain in the 1940s, opium cultivation and trade flourished in the Shan states. The “multinational” business of drug trafficking can be traced back to the 1940s, even before the CIA was created following World War II. Before the creation of the CIA in 1947, Allen Dulles assembled the Flying Tigers, an inner clique within the Office of Strategic Services (OSS). Dulles had close ties with Eastern billionaire families, and he was able to run clandestine operations out of the White House. 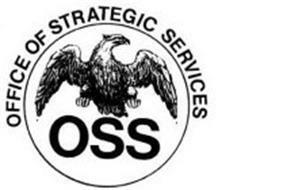 The OSS-mafia alliance emerged soon after the agency was formed. The OSS was first headed by Earl Brennan who helped plan the Allied invasion of Sicily and Italy in World War II. During the war, He had close ties with the head of the Vatican’s Vessel Operation, Monsignor Giovanni Batista Montini who was also an aid to Pope Pius XII. Montini suggested that Brennan recruit Italian exiles such as Masons business leaders, and mafia members to corroborate with the Allies in their invasion. In 1963, Montini become Pope Paul VI. 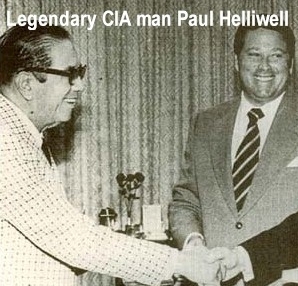 Colonel Paul Hellwell of the OSS began to smuggle heroin from Burma and sold it in ghettos in the United States. Grown in Burma and processed in Shanghai, OSS agents ran across this bonanza while attempting to bolster the right wing regime of Chiang Kai-shek and to prevent Mao Tse Tung from ascending to power. Flying Tigers were OSS mercenaries who were financed with secret funds. Hellwell observed how Chiang sold opium to Chinese addicts and used the revenue to purchase weapons for his troops. Hellwell created Sea Supply, an OSS proprietary company, out of Miami and used it to carry guns across the ocean to China. The opium was grown in Burma, so Hellwell moved on to Southeast Asia in order to consolidate his operation. 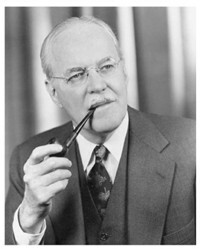 In the late 1940s, Hellwell was named the Burmese consulate in Miami and was able to secure a monopoly on opium in Burma. From there, opium was processed in Shanghai, and then it was exported to the United States on Sea Supply boats. In return, Hellwell shipped guns back to China. The OSS used the mob to distribute heroin in big cities throughout the United States. Another OSS connection was the German Gestapo. Dozens of leading Gestapo figures and SS spies were used. Their spy networks and personal war records could be used to survey and control the Soviet Union. After these Nazis arrived in Georgetown, they were used by the newly created CIA in a drug running role. They were educated at Fort Benning and then used extensively in Latin America by local militaries. They were partially funded by the revenue generated from Burmese heroin exported to China for refining, and then exported to ghettos in the United States. After Mao solidified his power in 1949 revolution, drug trafficking in China began to diminish, partially because the death penalty was carried out against convicted dealers. The OSS did not confine itself only to the Far East. While the bulk of American heroin originated in Asia, smaller amounts were produced in Marseille by the Corsican syndicates in the 1940s. Drug trafficking was certainly not at a premium during World War II. Transoceanic shipping was disrupted during the war years as a result of submarine warfare. Consequently, the power of Marseilles’ Corsican syndicates was weakened. In addition, Sicily’s mafia was smashed by two decades of Mussolini’s repressive regime. After World War II, the OSS created a situation which helped revive the Sicilian-American mafia and the Corsican underworld. The alliance with the mafia was maintained by the CIA in order to check the growing strength of the Italian Communist Party. For example, the Corsicans in Marseilles smuggled raw opium from Turkey and refined it into high grade heroin for export to the United States. Marseilles relied on a handful of expert chemists who were able to produce high grade number four heroin. After the transformation of the OSS into the CIA, Marseille’s Corsicans fell under the protection of the French intelligence service which allowed heroin trafficking to operate for another 20 years. By 1965, Marseilles syndicates were able to double their production and operated between 20 and 25 laboratories which produced 50 to 150 kilograms of heroin each month. It was estimated that 4.8 tons of pure heroin was exported to the United States in 1965 alone. The American government was concerned that both the French and Italian communist parties would rise to power in free elections in their respective countries. On the homefront, the government was concerned of the rising strength of the New York longshoremen’s union and a series of strikes which threatening to erupt a year after World War II ended. To counter the communist parties’ influence in France and Italy as well as to stamp out the longshoremen’s power in New York, the newly formed CIA turned to the mafia’s drug traffickers. The mafia connection assured the CIA the resources which they critically needed: hit-men to help carry out their illicit operations and additional funds to help finance their activities. After spending 10 years of a 30-to-50 year sentence in prison for drug trafficking, New York’s mafia leader Lucky Luciano given clemency and released from Albany’s Great Meadows Prison in 1946. In exchange, he promised to cooperate with American authorities. He returned to Italy and was able to build a black market which had been abandoned by the Genovese family. He then expanded his operations by forging close ties with the Marseilles syndicate. He imported raw opium from the Middle East and processed it in laboratories in Italy. Luciano’s top deputy was Meyer Lansky who had first contacted Cuban dictator Fulgencio Batista. Luciano initially purchased 200 kilos of heroin and shipped it on to Cuba. 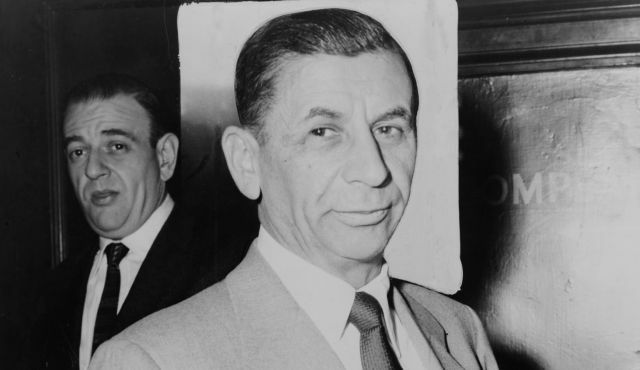 Lansky was given a monopoly on Cuba’s gambling operations plus assurances that Sicilian heroin could be shipped from Marseilles to Havana and on to the United States. In return Batista and his assistants received half the profits from the casinos. 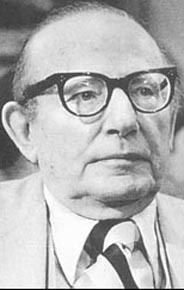 Lansky and Luciano chose Sicilian-born Santos Trafficante of Florida to run the Cuban gambling and drug business. Luciano made sure that Havana’s prostitutes were addicted to heroin and paid them with diluted forms of the drugs as well. The CIA armed and funded the Corsican syndicates to break up longshoremen’s strikes in 1947 and 1950. Harry Bridges had been known for his leadership in general strikes in San Francisco in 1934, and he moved on to New York City where he worked to unionize dock workers. The CIA paid the mafia to assault and harass union leaders and workers. Some were even murdered. The CIA also used psychological warfare against the unions. Anti-union pamphlets, radio broadcasts, and posters discouraged workers from continuing the strike. Meanwhile in Europe, the CIA continued to work with drug traffickers in its war to thwart the election of communists in democratic elections. By the late 1940s, Marseilles had become the postwar heroin capital of the Western world. And Italy’s mafia still maintained its strength as the most powerful component in Europe. The CIA’s protection of the Corsican syndicate continued into the 1970s. Frank Matthews, one of the East Coast’s prime heroin dealers, brought in $130 million annually. In 1973, he was finally arrested for drug trafficking in Las Vegas. Matthews was released on $325,000 bail and returned to New York with $20 million in cash. According to the Justice Department charges against nine of his suppliers were dropped at the insistence of the CIA which contended that prosecutions would jeopardize national security interests. The Italian mafia continued to maintain a stronghold in the United States. In the 1950s, the CIA once again turned to the mafia to foil communism — this time in Cuba. The very year that the right wing Batista government was overthrown, Operation 40 was organized as an assassination unit to kill Fidel Castro. Organized crime leaders Santo Trafficante and John Roselli, with the knowledge of Vice President Nixon, were heavily involved in importing drugs from Laos. After the failure at the Bay of Pigs two years later, Operation 40 was replaced by Operation Mongoose, a larger scale paramilitary organization. Its purpose was also to overthrow the Castro regime. The CIA officials who directed Operation Mongoose were Theodore Shackley and Thomas Clines. Felix Rodriguez, a Cuban refugee, was hired to be a member of a special assassination team. Rodriguez worked under Shackley in Miami, Florida. After the Bay of Pigs fiasco, dozens of anti-Castro sympathizers were indicted for drug trafficking. After the defeat of the French at Dienbienphu in 1954, the United States quickly moved to fill the void. In that decade, over a thousand tons of opium was being cultivated in the Golden Triangle — Laos, Burma, and Thailand. This amounted to 70 percent of the entire world’s illicit opium supply. In addition, this marked the first time that number three heroin (three to six percent pure) was being refined. As a result, the Thai government launched an opium suppression campaign which compelled most of the planters to switch to heroin. In the 1960s large quantities of number three heroin were being refined in Bangkok and northern Thailand. It was during this decade that both Shackley and Clines were transferred from Florida to run CIA operations in the heart of Southeast Asia as well as in the heart of the world’s largest heroin region. 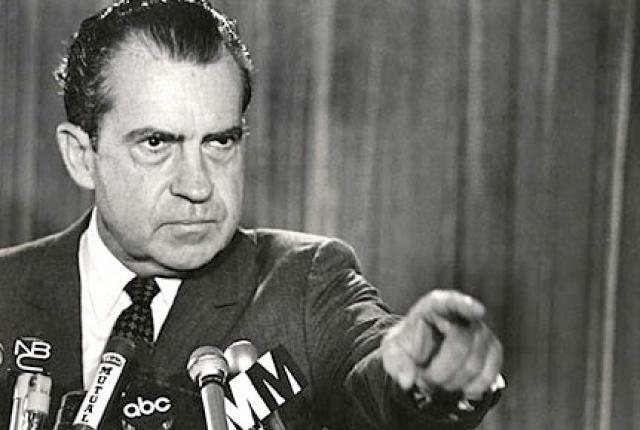 During the Vietnam War, the White House drug team was headed by Lucien Conein who once had ties to Corsican drug dealers in Southeast Asia and Marseilles. The CIA urged Conein and the White House to accept a plan to carry out a series of assassinations against drug kingpins. According to a White House memo, “With 150 key assassinations the entire heroin-refining industry can be thrown into chaos.” However, the CIA’s list included a hand-full of names of drug dealers in Southeast Asia, and none of them were the principal players. Additionally, the White House decided to concentrate in Turkey where less than 5 percent of the world’s opium supply was grown. During the heated cold war in Southeast Asia in the 1950s, large scale decisions were made by the CIA in its Langley, Virginia headquarters. The agency’s operants were given a large scale of autonomy in the field. The agency did not ask questions as long as those on the payroll produced results. One of the major objectives of these factions was to gain control of opium trade in their regions. A large amount of duplicity, which included tortures and murders, occurred among various groups: CIA headquarters, its operatives in the field, and drug lords. After World War II the French returned to Indo-China and became directly involved in drug trade with the Hmong tribesmen in the highlands of Laos. 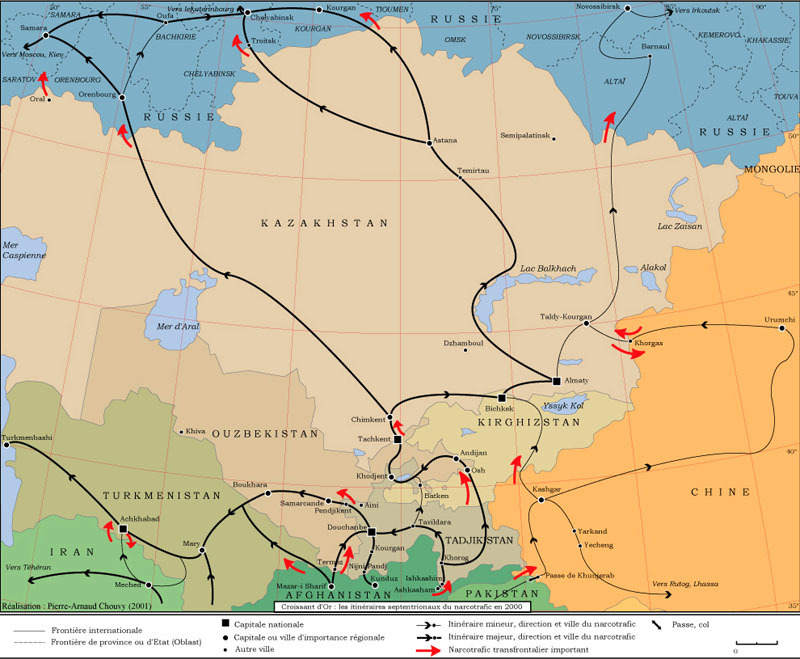 At first, the French attempted to eliminate opium addiction in 1946. However, desperately short on funds, French intelligence and paramilitary organizations became involved in opium trafficking in order to finance their covert operations against Ho Chi Minh in the north. 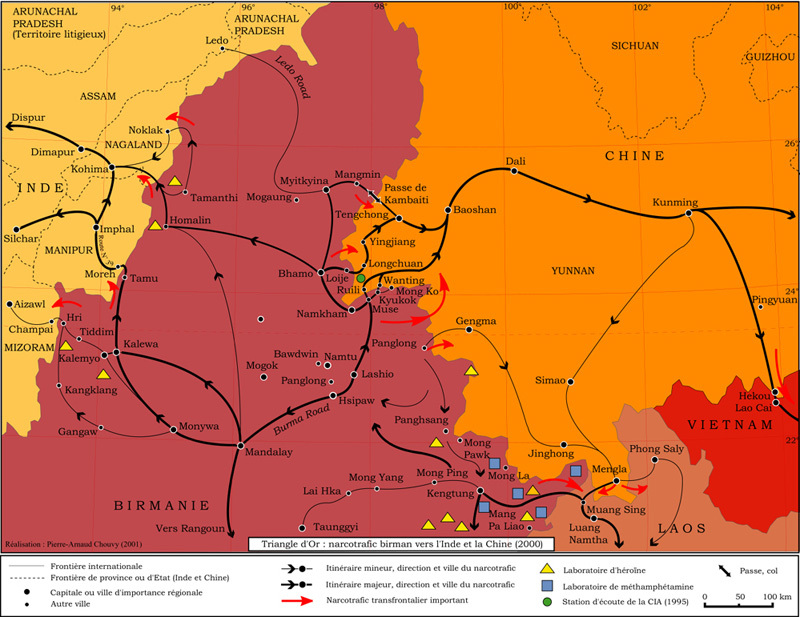 By 1951, French intelligence controlled most of the opium trade in the region. The French started top secret Operation X which resulted in a steady supply of Hmong opium into the dens of cities such as Saigon and Danang. 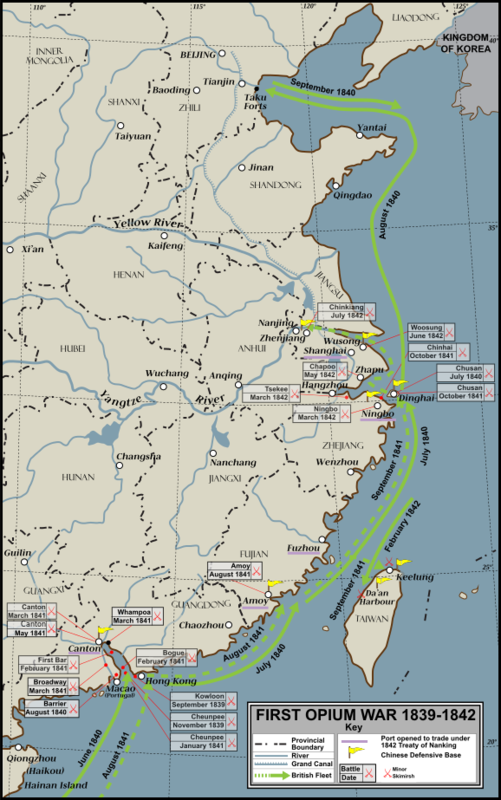 In 1950 President Truman implemented the Office of Policy Coordination (OPC) which approved a CIA invasion into southern China. This meant that CIA operants need to infiltrate various local tribal units particularly in the Golden Triangle — Burma, Laos, and Thailand. 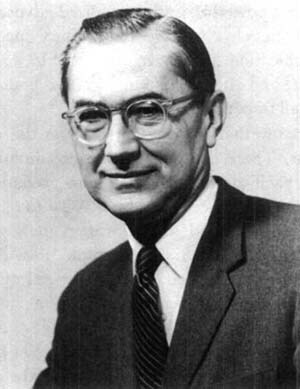 The CIA recruited agents such as William Colby who years later was elevated to CIA director. When CIA operants moved into the Shan states in the Golden Triangle region of northern Burma, opium growers operated only randomly. However, the region soon was transformed into one of the largest growing opium regions in the world. The CIA needed an alliance with the KMT, which had just been driven out of China by Mao Tse-tung a year before, and the Thai police in order to bolster its position in the region. The KMT exported their opium harvests usually by mule train across the mountains or by unmarked American C-47 transportation planes to Thailand for processing. Some was flown on to Taiwan. In 1950 the CIA purchased bankrupt Civil Air Transport (CAT) for $950,000 and used their fleet of planes to run weapons to KMT General Li Mi in Shan province, and the planes returned to Bangkok filled with opium. Shortly afterwards, CAT was renamed Air America. General Phao Siyanan, head of the Thai police since a CIA orchestrated coup overthrew General Phin Choohannan in 1948, purchased most of this opium. 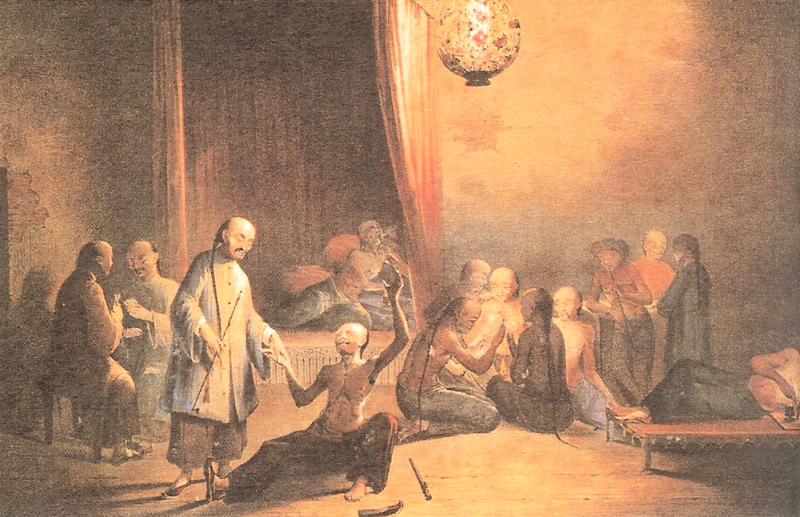 Thus, the KMT became a pivotal force in opium trade in Southeast Asia. With CIA support, the KMT remained in northern Burma until 1961 when the Burmese army finally drove the right wing army into Laos and Thailand. In 1951, Operation Paperclip, a joint CIA-KMT effort to reconquer China’s Yunnan province, was approved. The CIA’s first objective was to accomplish an intelligence-gathering mission inside China. In addition, the CIA trained and funded 10,000 KMT forces. Unmarked C-46 and C-47 transport planes began making supply drops into northern Burma. The next year KMT troops and some CIA operants crossed 60 miles into China but were forced to turn back after facing fierce resistance. The CIA also realized the importance of funding other smaller factions in the Shan states, so that no one element could consolidate absolute power in that region. Maintaining instability in the Golden Triangle prevented any one group from controlling and regulating opium trade. However, American aid to the KMT soon dropped off significantly when drug lord Khun Sa began to extend his influence in the mountainous region of the Shan states just south of China. Khun Sa began his military career with the KMT when he was 18 years old and was trained in both arms and opium by the CIA-supported army. 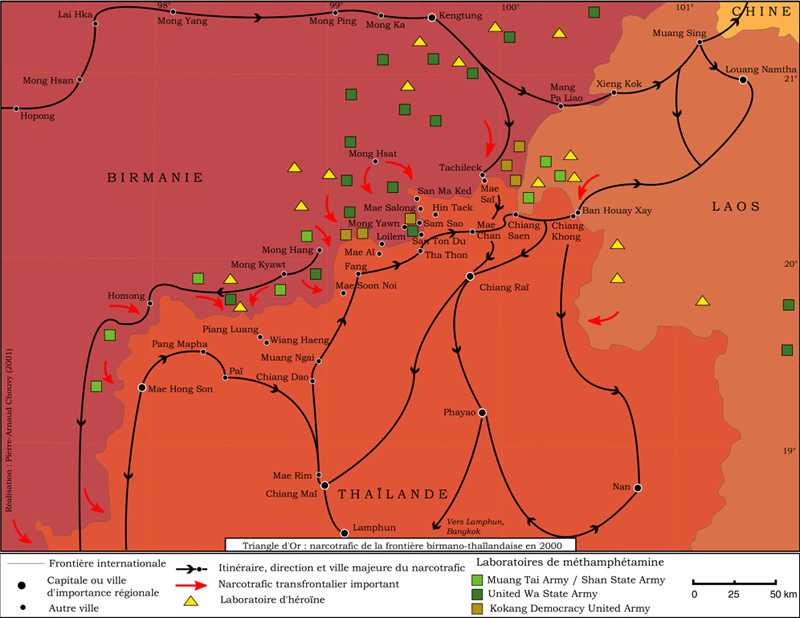 As Khun Sa extended his influence into the Shan states, the CIA was slowly edged out along the Burma-China border, and were no longer able to use that area too stage subsequent attacks into Yunnan province. In the 1960s, thousands of KMT mercenaries made their way across the mountains of the Golden Triangle to eastern Burma. 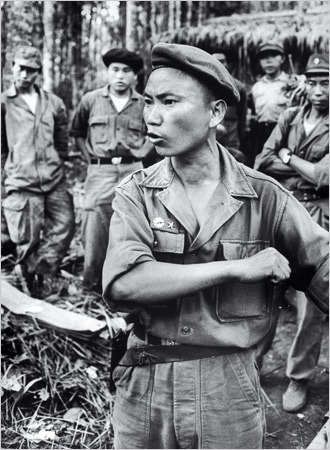 Khun Sa’s army was defeated by KMT General Ouane Rattikone in the 1967 Opium War, and his troops fled into central Laos. Khun Sa was arrested and released at a later date, but by that time the size of his army had dwindled to about one thousand. 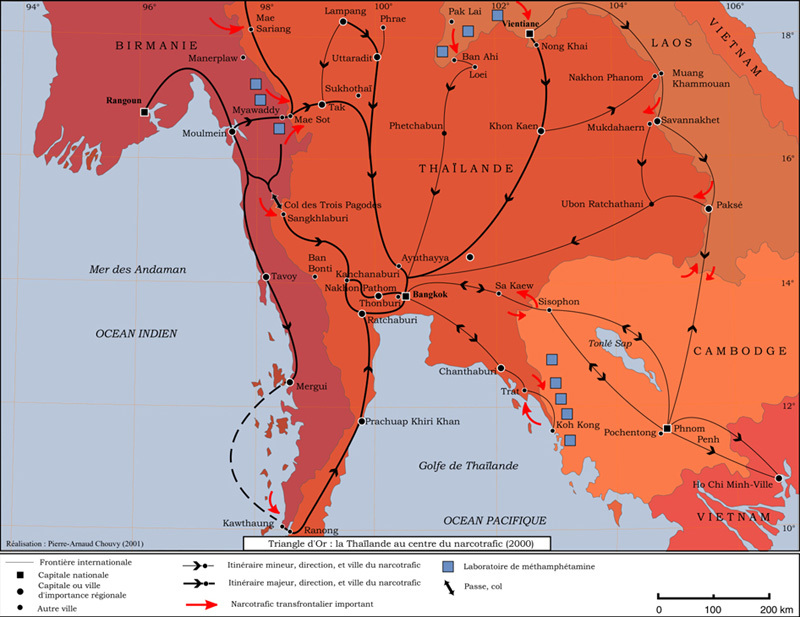 Khun Sa not only lost major casualties among his troops, but he also lost his monopoly on opium trade in the Shan states.The Opium War left Rattikone and the KMT in control of 80 percent of the opium trade in Burma. During the duration of the KMT’s dominance in northern Burma — from the end of World War II to 1960s — his CIA subsidized army increased opium production by nearly 500 percent from 80 tons to 500 tons annually. The Golden Triangle provided approximately 33 percent of the world’s illicit opium trade. The severe drought of 1978-80 took a heavy toll on illicit drug trafficking in the Golden Triangle. However, by the 1980s, opium trade became the most prosperous ever in that region. Even though Thai and Burmese military operations increased, heroin laboratories in the mountains in the two countries managed to operate without serious incidents. 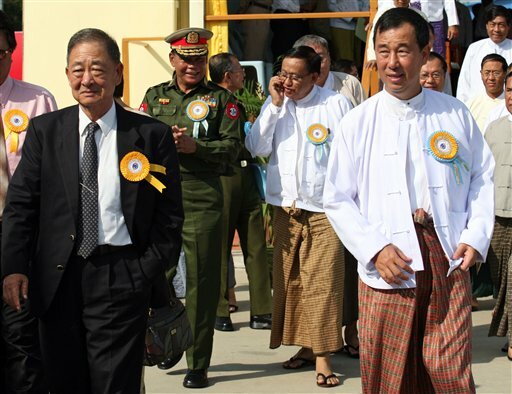 The Shan leaders became more splintered, and the Burmese Communist Party (BCP) collapsed. This opened the door for Khun Sa to return to the Shan states. By the early 1970s, he recovered his lost territory in the central Shan states, but the BCP quickly moved into the mountain areas just south of the China border, posing a large threat to Khun Sa expansionist policy. Three factions began to position themselves: Khun Sa, Chinese warlord Lo Hsing-han, and the Shan State Army (SSA). Like Khun Sa, Lo Hsing-han began his army career in the KMT and emerged as one of the principle opium dealers in Shan province. 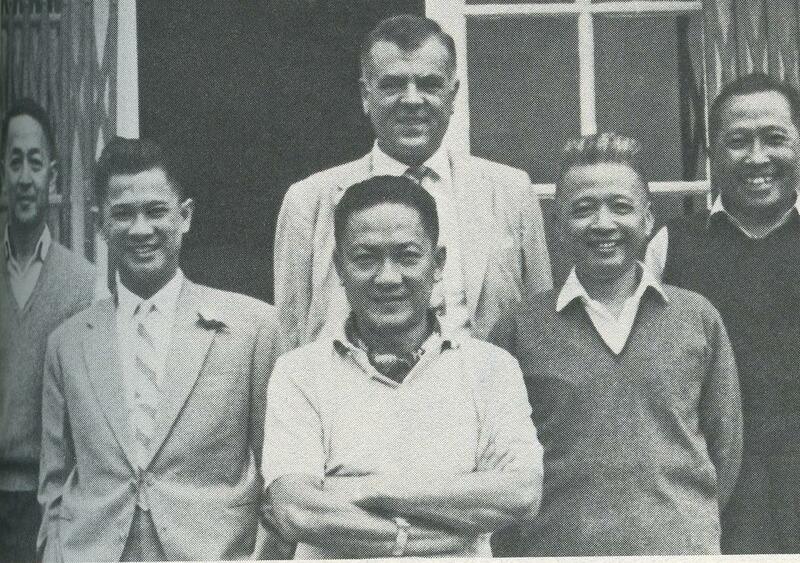 In 1972, the Nixon administration branded him the “kingpin of the heroin traffic in Southeast Asia.” After Khun Sa was defeated in the 1967 Opium War, Lo Hsing-han became the largest single opium merchant in the province. The SSA was founded in 1958 and was political in nature. Its chief concern was to regain Ragoon and to abolish Shan authority in that region. It was not directly involved in opium trade. The size of its army was 2,700 and the troops were armed with American weapons which were purchased on the black market. In 1973, the Burmese government disbanded its militia groups in Shan province. In an effort to consolidate his power in the region, Lo Hsing-han turned to moderate elements in the SSA for support in controlling. The two groups proposed that officials at the American embassy in Bangkok be informed that they intended to sell 400 tons of Shan opium for $20 million. The two groups also requested American support for the purchase of all opium controlled by smaller Shan factions in the Golden Triangle at a fixed price. They insisted that this would eliminate all heroin trade in the area. However, Lo Hsing-han was arrested in 1973 by Burmese officials and charged him with — not drug trafficking — but high treason and rebellion. The following year, the Burmese government released Khun Sa, who had spent five years in solitary confinement, and returned him to his troops in Shan province. Now Khun Sa easily replaced Lo Hsing-han as the drug kingpin in the Golden Triangle. Khun Sa forged ahead by forming an alliance with the conservative factions of the SSA and was involved in skirmishes with the revitalized KKT. Khun Sa once again he proposed that he purchase the entire Shan province opium crop. This request was rejected by the State Department after Congressional hearings took place in 1975. In 1975, the SSA broke into two factions. The larger and more moderate group broke away from the conservative faction and joined the BCP. The other faction joined forces with fragments of the KMT and formed the Tai-Land Revolutionary Council. Furthermore, to complicate issues, several rightist independent armies combined to form the National Democratic Front (NDF), an anti-communist coalition which was made up of 13 groups. In 1977, an agreement regarding the division of opium trade in the Golden Triangle was reached between Khun Sa and the leader of the revitalized KMT. Khun Sa was allowed to maintain a base inside Thailand, and this served as his headquarters for control of 40 percent of Burma’s opium exports and the annual collection of $850,000 in transit fees from others who crossed through the region. Between 1976 and 1978, the Burmese government, using American helicopters, began a series of military operations aimed at destroying the Shan armies and their opium operations. Government forces were able to destroy some poppy fields, but they did not enter BCP-controlled regions. The BCP controlled one-third of the area, and even though they were not involved in opium trade, they did allow private dealers to cultivate opium. Opium production plummeted after 1975. After the United States withdrew from Vietnam, black market operations dwindled, making it difficult for Shan rebels to purchase weapons. In addition, between 1978 and 1980 the Golden Triangle was hit with two droughts. This was followed by two seasons of intense monsoon rains, reducing the region’s opium production to a record low. The usual 600 ton opium harvests were cut to 160 tons in 1978 and 240 tons in 1979. Recovering from this two year failure, the region began to produce a bumper crop in the 1980s. Khun Sa stated that Richard Armitage, at that time an envoy in the American embassy, financed drug smuggling in Vietnam and Bangkok from 1975 to 1979. CIA agents Daniel Arnold and Jerry Daniel trafficked weapons and drugs with Khun Sa. The operation was believed to be at its peak in 1975 and 1976 under George Bush. In a letter to George Bush, Gritz maintained that Khun Sa claimed that he had once engaged in narcotics transactions with Richard Armitage, who later became the Assistant Secretary of Defense, Shackley, as well as other American officials. Bush was head of the CIA in 1976 when Khun Sa said that he was selling drugs to top CIA officials. Gritz says that, strangely, nobody in the American government was interested in an investigation. 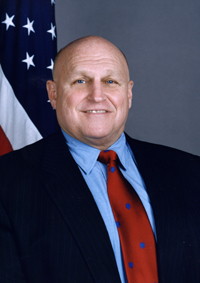 Gritz later testified before the House Foreign Affairs Committee’s International Narcotics Control Task Force. By 1983, Khun Sa strengthened his forces, and opium production was on the rebound. With Hong Kong chemists and over ten refineries, Khun Sa increased his holdings, controlling 75 percent of Golden Triangle opium production. 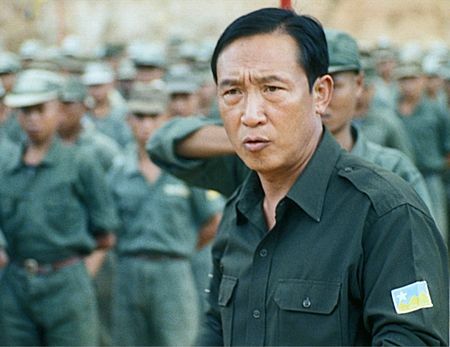 Khun Sa was able to defeat KMT forces, and he destroyed numerous heroin facilities. With a virtual monopoly on opium trade in the Golden Triangle, Khun Sa was only briefly attacked by Thai and Burmese government forces which were able to secure a small area. Khun Sa was forced to evacuate some of his heroin laboratories, but he merely moved them into Laos. Khun Sa had eliminated all his rebel rivals, and by 1986 he was refining 80 percent of the opium harvest in the Golden Triangle. The king of opium trade, Khun Sa had risen to become the world’s largest single heroin trafficker by controlling 60 percent of the world’s illicit opium supply. In 1986, Bo Gritz went to Burma with White House approval to meet with Khun Sa who supposedly had information on American MIAs. Khun Sa said that he wanted to end the opium and heroin traffic in his territory and to expose American officials involved in the drug smuggling. Gritz claimed that he took this message to the United States government and was told by Tom Harvey of the National Security Council that “there is no interest here” in the Khun Sa overture. Gritz had in his possession 40 hours of video tape of Khun Sa who “charged American officials, both past and present, with being the chief buyers of drugs produced in that part of the world.” He also claimed that he wanted to stop drug trafficking, but that the United States government would not let him. Khun Sa said that the CIA were some of his best customers. 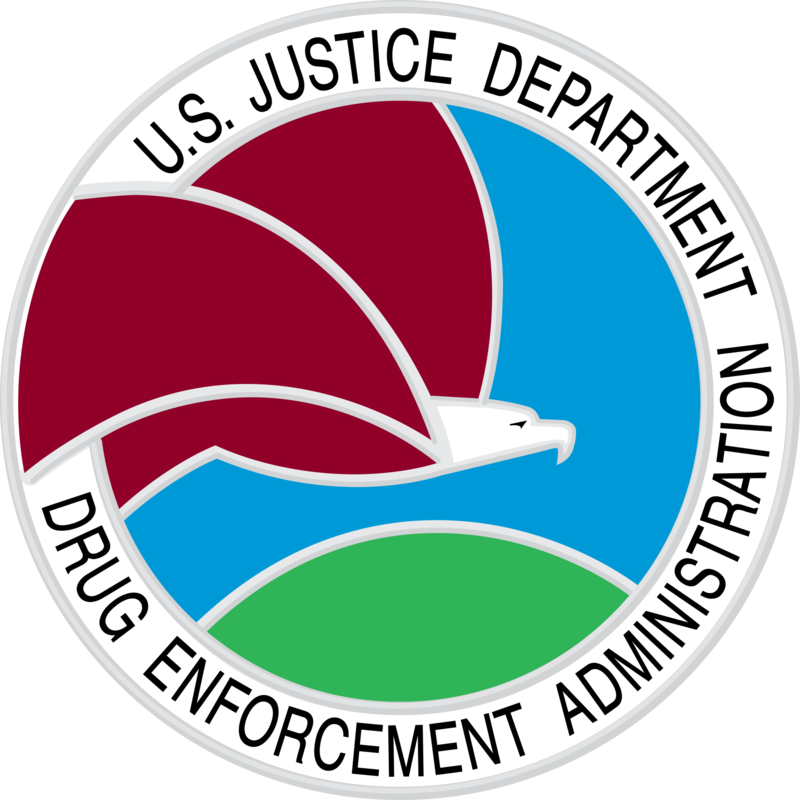 He offered support to the DEA to alert them of drug movements, but this was rejected at the headquarters level. In 1988, the government of Burma fell into the hands of the State Law and Order Restoration Council (SLORC). Its goal was to bolster the nation’s economy by doubling opium exports, and within two years 60 percent of the world’s heroin — valued at $40 billion a year — was exported from Burma. Also in 1988, the single largest heroin seizure was made in Bangkok. The 2,400-pound shipment of heroin, en route to New York City, originated from Khun Sa in the Golden Triangle. Two years later in a meaningless gesture an American court indicted Khun Sa in absentia on heroin trafficking. He was charged with importing 3,500 pounds of heroin into New York City over the course of 18 months, as well as holding him responsible for the source of the heroin seized in Bangkok. Specifically, he was charged with being the owner of a 2,400 pound shipment which was intercepted in Bangkok en route to New York City in 1988. This was the largest single heroin seizure ever. In 1990, Lo Hsing-han was released from prison and was welcomed back by the same factions which had driven him out. He met with Burmese government officials and soon thereafter opened 17 new heroin factories in the Golden Triangle. By 1995, the Golden Triangle region of Southeast Asia remained the leader in opium production, yielding 2,500 tons annually. According to American drug experts, new drug trafficking routes from Burma through Laos, to southern China, Cambodia and Vietnam were drawn up. In 1996, the SLORC cut a deal with Khun Sa. He had been indicted by the United States Justice Department six years before, but SLORC refused to extradite him. Instead, he was given the Burma-to-Thailand taxi concession and a 44 acre ranch where his son plans to build a gambling and shopping complex. The agreement also reportedly included a deal allowing him to retain control of his opium trade in exchange for ending his 30 year old war against the government. Underground activist groups, operating along the Indo-Burma border, have continued to purchase arms and ammunition from Khun Sa’s soldiers. In Laos the CIA’s complicity in drug trafficking resulted from its alliance with the Hmong tribes who, since the 1950s, had been used by the French to fight Vietnamese leftists. As early as 1959, CIA operative Lucien Conein stated that eight teams were training Hmong tribesmen on the Plain of Jars. In 1960 the CIA began recruiting units to patrol the border with China and even to send Yao and Lahu tribesmen into Yunnan province to monitor traffic and to tap telephone lines. Operating out of Vientiane, the CIA also sent recruits to the patrol the Vietnam border as well as to send Green Beret commando units into North Vietnam to sabotage the Ho Chi Minh Trail. By far the largest goal of the CIA was to wage its secret war against the Pathet Lao in northern Laos. From 1960 to 1974, the CIA maintained a secret army of approximately 30,000 tribesmen in the mountains of northern Laos. This originated with Vientiane CIA station chief Shackley and his Clines, his assistant. The first mission of the CIA was to place a puppet in power. The CIA needed to forge alliances with tribes and warlords inhabiting the northern Laos. In order to maintain its relationship with the warlords while continuing to fund the struggle against nationalistic Marxist movements in Laos and North Vietnam, the CIA first had to choose a career military official. The agency decided upon a career military leader, Lieutenant Vang Pao. Next, the CIA used several tactics to gain respect and support among the Hmong. Immediately elevated to a general, Vang Pao’s power had to be solidified in order for him to gain political support among the tribesmen in Laos’ scattered villages. First, the agency found a way for Vang Pao’s son and daughter to marry the children of Touby Lyfoung, a prominent and popular Hmong cabinet member. Second, the CIA usually chose a popular Hmong leader, with whom the agency could work, for every tribal area as its commander. To gain support from the Hmong, the CIA supplied the tribesmen with rice. This enabled them to concentrate on growing the cash crop of opium. The Hmong relied on support from Air America for their rice supplies. Thus, the air power became the essential factor which allowed the CIA to keep Vang Pao in power. After Vang Pao was able to consolidate his power, the CIA helped him to sustain an army of 30,000 men from a tribe of only 250,000 people. 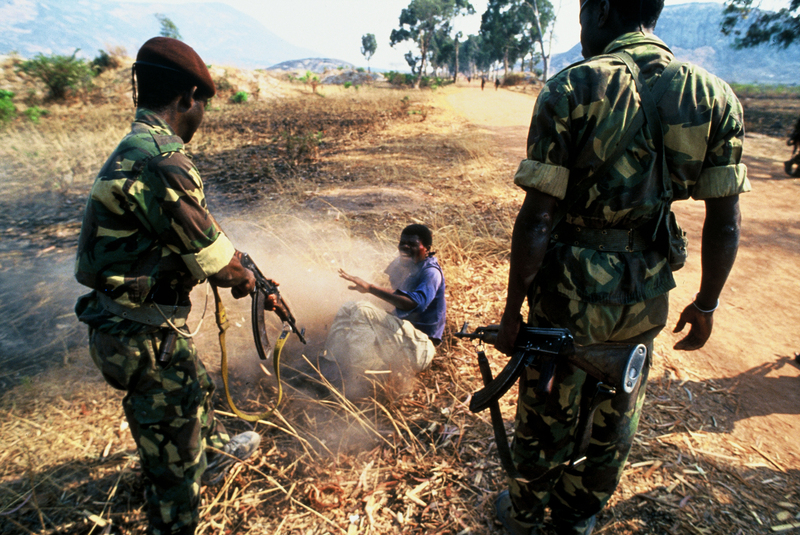 The CIA relied on the villagers to supply the manpower to continue to replace the wounded and killed. By the early 1970s 30 percent of the Hmong recruits were 14 years old; another 30 percent were 15 and 16; and the remaining 40 percent were over 45. In return for providing recruits, the Hmong opium growers received CIA support and their economy flourished. Also, Vang Pao’s control over the opium industry gave him more authority, especially when he needed to recruit young soldiers. Thus, the CIA relied on Vang Pao to supply soldiers in its secret war, and the CIA supplied his tribesmen with rice while opium was grown and frequently flown on CIA planes.CIA operant Tony Poe was assigned as the chief adviser to Vang Pao and to supervise his secret army’s operations. Poe promised Hmong soldiers one dollar for a Pathet Lao’s ear and ten dollars for a severed head. On the one hand, Poe frequently refused to allow opium to be transported on Air American planes. On the other hand, he ignored the prospering heroin factories and never stopped any of Vang Pao’s officers from using American facilities to manage illicit drugs. None of the opium refineries mastered the technique to produce high-grade number four heroin which is 90 to 99 percent pure. By 1969 expert chemists from Hong Kong were imported into the Golden Triangle region, and they produced limited amounts of high grade heroin for tens of thousands of American GIs in South Vietnam. By 1970 the amount of heroin available to Americans was unlimited. The opium harvests were transported by Vang Pao’s officers and then flown on Air America UH-1H helicopters to processing plants in Vientiane and Long Tieng. However, with the beginning of Nixon’s Vietnamization policy in the months to follow, the market for heroin drastically dropped. Then Chinese, Corsican, and American syndicates began sending large shipments of number four heroin directly to the United States. As a result of these massive exports to the United States, the wholesale price for a kilogram of number four heroin in the processing plants in the Golden Triangle actually increased by 44 percent — from $1,240 to $1,780 — in less than one year. At the same time, the price of raw opium in the villages jumped from $24 to $45 per kilogram. In 1970 the number of heroin addicts in the United States reached 750,000. More than a thousand tons of opium was being raised in the Golden Triangle. By 1973, the United States was losing in Vietnam and in Laos as well. The CIA was forced to import approximately 20,000 Thai mercenaries in order to replenish the exhausted Hmong troops who could not provide additional recruits. That yea,r the Laotian government signed a truce with the Pathet Lao, ostensibly ending the CIA’s secret war. 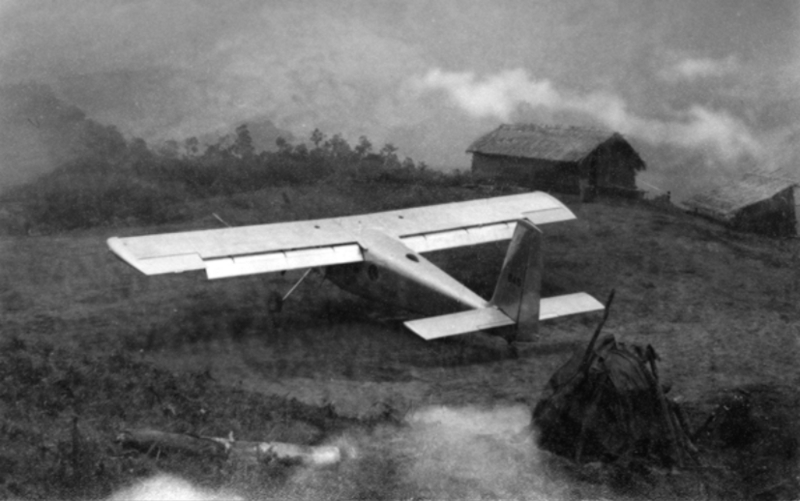 Slowly, the CIA abandoned over 300 landing strips and turned over its aircraft to the Laotian government. In 1974 on orders from the Laotian government, Air America abandoned its facilities. As Pathet Lao soldiers increased their presence in Laos, Vang Pao’s military and dwindled to 6,000 troops. Usually, Vang Pao retreated rather than to fight, and eventually the Pathet Lao marched into Vientiane. Vang Pao finally agreed to flee to Thailand, and the CIA provided transportation for him and his top officers. After World War II, very little opium was being produced in Afghanistan. However, right wing dictatorships in neighboring countries thrived on opium production. In neighboring Iran, the powerful American and Anglo oil companies and drug dealers shared many of the country’s resources. Intelligence agencies estimated that Iran was producing 600 tons of opium a year and had 1.3 million opium addicts. When Mohammed Mossadegh was elected prime minister and the shah was forced to flee, the new populist government moved to suppress opium trade. However, after a CIA coup placed the shah back on the throne, drug trafficking once again prospered until 1979 when an Islamic revolution brought Ayatollah Khomeini into power. In Pakistan under King Mohammed Zahir, feudal estates scattered throughout the country maintained small opium fields. However, after a 1978 coup Mohammed Daoud seized power, and opium traffic began to expand rapidly. He was followed by Noor Mohammed Taraki, a reformer who worked to phase out the poppy fields and replace them with consumption crops. Opium production began to plummet, but Taraki was killed in a military coup in 1979. 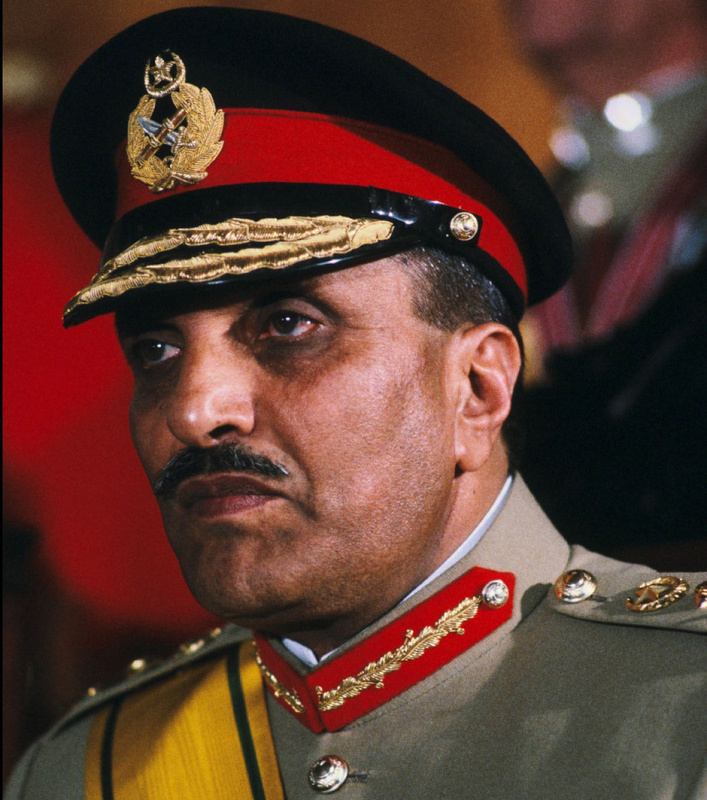 General Zia ul-Haq ascended to power, and he created the Inter-Service Intelligence (ISI) to oversee intelligence on the Afghan-Pakistani border. The ISI pressured the CIA into accepting Zia’s policies with the Mujaheddin across his border in Afghanistan. The ISI brokered a deal which brought about an alliance between the CIA and Gulbuddin Hekmatyar, the leader of a small guerrilla unit in Afghanistan with close ties to the Pakistani government. In the next ten years half of American aid to Afghanistan went to this group. 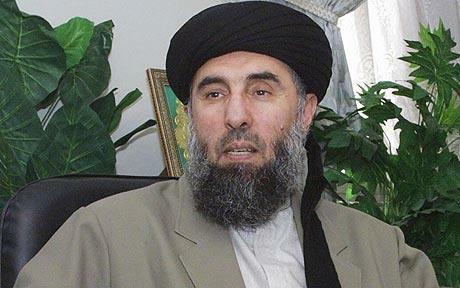 Hekmatyar eventually proved himself brutal and corrupt, becoming one of the premier drug dealers in that region. Islamabad CIA station chief John Reagan met with Hekmatyar in May 1979, seven months before the Soviets moved into Kabul, and agreed to make the first of many shipments of arms to the rebel army. Over the next two years, CIA covert aid increased tremendously. Islamabad soon became the largest foreign CIA station to run a covert war. Within ten years the United States had funneled in $3 billion in aid to the Mujaheddin, and the CIA had provided the rebels with $2 billion in covert aid. Sixty percent of those funds were given directly to Hekmatyar who purchased weapons in order to protect his opium fields. Pakistani General Fazle Huq was assigned to overlook military operations near the Afghan border. Huq ensured that Hekmatyar received the bulk of CIA arms shipments, and he also protected his 200 heroin laboratories. In 1982 Interpol identified Huq as a principal catalyst in Afghan-Pakistani opium trade. 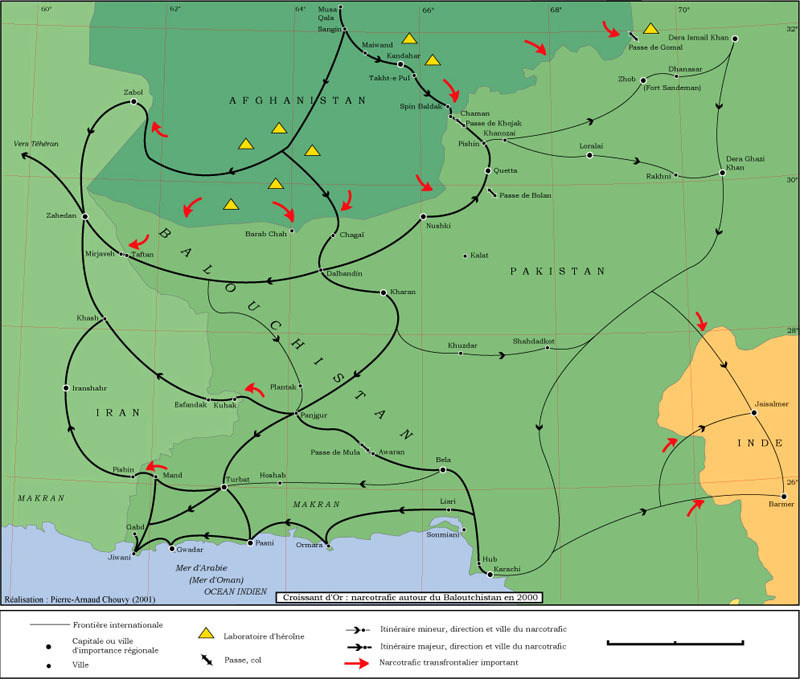 Very little heroin was refined in Pakistan before the rise of the Mujaheddin emerged in 1979. Then the guerrillas began to expand their opium production and shipped the raw drug to Pakistan border refineries for processing into heroin. They sold it to Pakistani refiners who operated under the protection of General Fazle Hug, the governor of the province near the Khyber Pass and adjacent to Afghanistan. Trucks from the Pakistan arm’s National Logistics Cell (NLC) arrived with CIA arms from Karachi and returned loaded with heroin. They were protected by the ISI and therefore protected from vehicle searches. The Reagan and Bush administrations frequently placed the blame for opium trade on the Soviets. However, it was the Mujaheddin and Pakistanis who were directly involved in trafficking drugs. Zia’s personal physician, Dr. Hisayoshi Maruyama, was arrested in Holland with 17.5 kilos of high grade heroin. Haji Ayub Afridi, one of Zia’s associates who had served in the Pakistani General Assembly, purchased large quantities of opium from the Mujaheddin. Another Zia ally, Hamid Hasnain, vice president of one of Pakistan’s largest banks, also ran a drug ring. By the 1980s, American aid to Afghan rebels declined, so their leaders expanded opium production in order to maintain their armies. 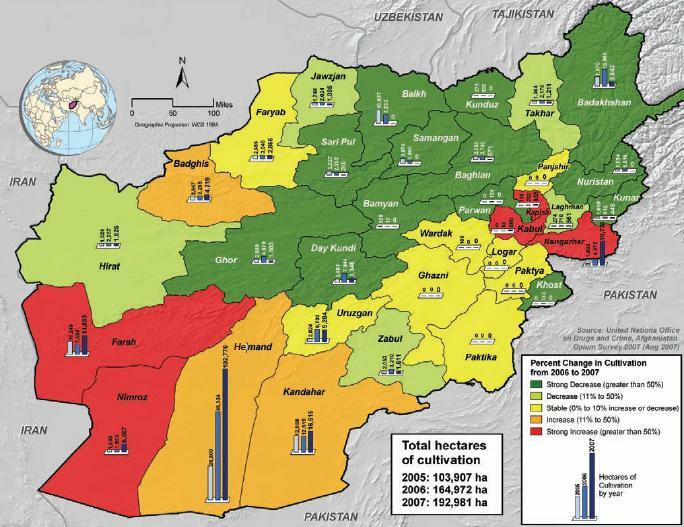 In southern Afghanistan, Nasim Akhundzada controlled the most fertile and irrigated areas. He became known as the “King of Heroin” and controlled most of the 250 tons of opium in his province. Meanwhile, Pakistan became one of the world’s largest addict populations in the 1980s. When the Mujaheddin first emerged in Afghanistan in 1979, there were about 200,000 drug addicts in the United States. As poppy fields quickly expanded in the areas which they controlled, that number had jumped to 450,000 by 1981. In 1989 Afghanistan and Pakistan produced and shipped 50 percent of all the heroin in the world. 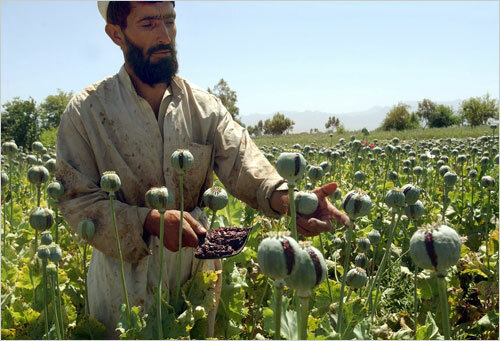 Between one-third and one-half of the heroin used by addicts in the United States was imported from heroin growers in Mujaheddin controlled areas. The annual consumption of these Afghan narcotics amounted to roughly three tons, and it was valued in the billions of dollars. Hekmatyar’s chief rival in the opium business was a fellow Mujaheddin, Mullah Nassim. In 1989, Hekmatyar successfully plotted his assassination and consolidated his position as the principal Afghan drug lord. In 1990 Time magazine ran a story claiming that the United States “was embarrassed by the widely bruited connections between the drug trade and the elements of the insurgents, including such fundamentalist Islamic groups as Gulbuddin Hekmatyar Hezbi-I Islami.” Then the Washington Post printed a story charging that American officials had refused to investigate charges against Hekmatyar and Pakistan’s ISI. Yet the CIA ignored the allegations since it would have diminished their effectiveness in running covert operations in the region. Civil war has raged since the 1989 withdrawal of Soviet forces. 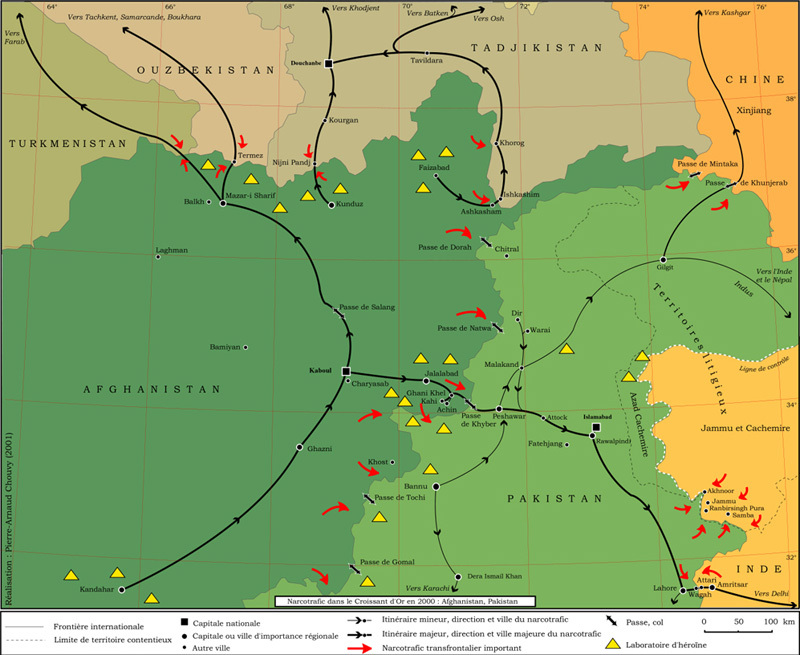 Although the United States government withdrew military support for the Mujaheddin, various Afghan ethnic and political factions have competed for power. In 1994 the extreme fundamentalist Sunni sect known as Taliban emigrated from Pakistan and settled in Afghanistan’s outlying mountains around Kabul. Supported by the United States, Taliban captured the capitol and declared Afghanistan an Islamic state in September 1996. 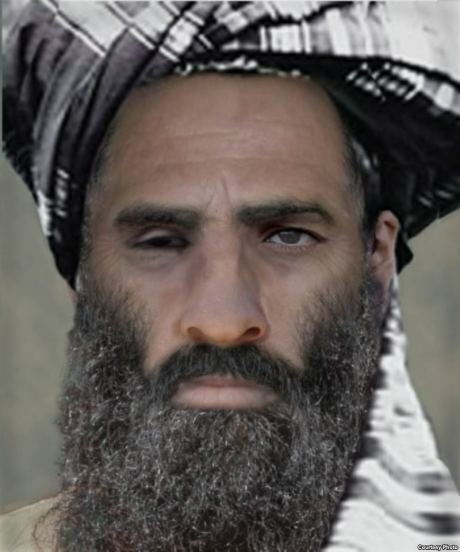 The Taliban sect under Mullah Omar immediately imposed a campaign of tyranny in the areas under its control. The Taliban continued to thrive on the opium business which amounted to twice the size of the government’s budget. In addition to Taliban’s influence in Afghanistan, large areas of the north were controlled by another warlord, Abdurashid Dostum. In May 1997, a coup within Dostum’s forces led by General Abdul Malik led to Dostum fleeing the country. They immediately announced a peace agreement had been reached to reunify Afghanistan under Taliban control, and a delegation of 60 Taliban leaders arrived to sign a peace treaty. The Taliban victory was celebrated by Pakistan. In addition, corrupt factions within Pakistan’s security forces benefitted by the opium trade which increased under Taliban rule. Taliban has been hostile to Russia, Shiite Muslim Iran, the moderate Sunni Islamic republics of Turkmenistan, Uzbekistan, and Tajikistan, and Turkey. In the 1970,s drug profits from the secret war in Laos were funneled into the Nugan Hand Bank. Shackley denied that he maintained a secret account in this Australia-based bank, which was founded Michael John Hand and four officials from CIA-owned Air America. In Chiang Mai Thailand’s branch office, the director of the bank claimed that he handled $2.6 million in drug revenues in less than six months. He maintained that the money was laundered for Laotian Meo tribesman and other heroin dealers. According to the Australian Royal Commission, Nugan Hand was the principle conduit for laundering the money for major narcotics transactions from the Golden Triangle and importing heroin into Australia in the 1970s. The Nugan Hand bank also moved money globally for the CIA. In 1980 the Nugan Hand Bank collapsed, $5 billion in debt. The Nugan Hand Bank had several branches in Saudi Arabia, Europe, Thailand, and South America. Several of the bank’s officials had CIA connections. The larger Bangkok office was run by the former CIA chief of that city. In Sydney it was a CIA bank in all but name. 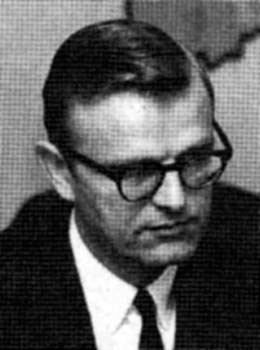 Among its officers were a network of United States generals, admirals and CIA employees, including former CIA Director William Colby, who served as one of its attorneys. Some of its branch managers included Air Force General LeRoy Manor, who later corroborated with Air Force General Richard Secord and Colonel Oliver North on covert actions to liberate the 52 American hostages taken in Iran in 1979. In addition Patry Loomis, a CIA operative who worked under CIA station chief Shackley in Saigon, was a close associate of Nugan Hand’s representative to Saudi Arabia, Bernie Houghton. Loomis also helped Ed Wilson, later to be implicated in Iran-Contra, recruit Green Berets to train Libyans. Wilson was also an associate of Houghton. In the mid-1970s Wilson used the Nugan Hand Bank and worked with Houghton to supply 3,000 weapons and 10 million rounds of ammunition to the CIA-backed rebels in Angola. In 1975, Wilson went to work for Task Force 157 was set up to attempt to topple the left-leaning Labour government of Gough Whitlam. Task Force 157 was set up by Henry Kissinger as a mini-CIA. It was actually separate from the CIA and probably was set up by Kissinger so he could deny any connection between what the Task Force 157 was doing and the CIA. The personnel of Task Force 157 included Wilson with his numerous connections to Nugan Hand Bank officials and Shackley. Michael Hand, an ex-American Green Beret, went on from the Green Berets to work in intelligence work for the United States government.The concept of Task Force 157 were two-fold: first, to set up operations against the Whitlam government. 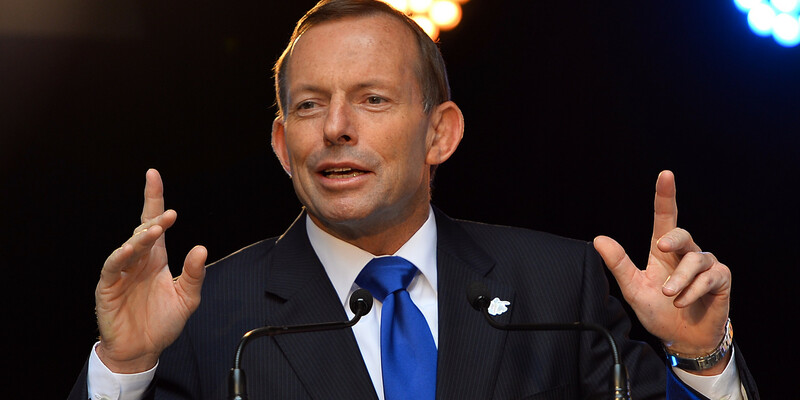 Second, to go ahead with using Australia as a base for certain clandestine United States operations such as arms dealing and smuggling of contraband goods and using the Nugan Hand Bank as the cover. In April 1982, Bush met with Australian Labor leader Hayden to discuss the CIA’s role in the Nugan Hand Bank. Many Australians could not understand why the CIA wanted to bring down the government of a loyal ally, whose Labour party was striving to make social reforms, especially since it was the war-time Labour administrations which had built up the special relationship with America.